February? How is it already February?! The new year is already flying by… but I’m reflecting on one of my favorite weddings of 2016 today. I ended my best wedding season yet with Ana & Dustin’s gorgeous New Years weekend wedding at the Buhl Estate at Addison Oaks in Leonard, Michigan. The day couldn’t have been more perfect; fluffy snowflakes falling as the sun peeked through, a gorgeous venue, beautiful details, and a couple so very much in love… my kind of wedding. I had a smile on my face from the moment I arrived to the moment I left and I am so honored that Ana and Dustin chose me to capture their day. Oh, gorgeous natural light! And THESE SHOES! Gah! Ana and Dustin chose to do a “first look” where they got to see each other before the ceremony. If you’re on the fence about doing a first look, I hope these images speak for themselves. Its a beautiful time for the bride and groom to spend some quiet moments together before the craziness of the day takes hold. First looks are my favorite things to photograph! The grounds around the Buhl Estate were amazing; perfected by a fresh dusting of snow. These ladies! I love all of the bridal parties I am blessed to work with, but these women were so special! Not only did Ana do a first look with Dustin, she also did one with her father. So wonderful!! 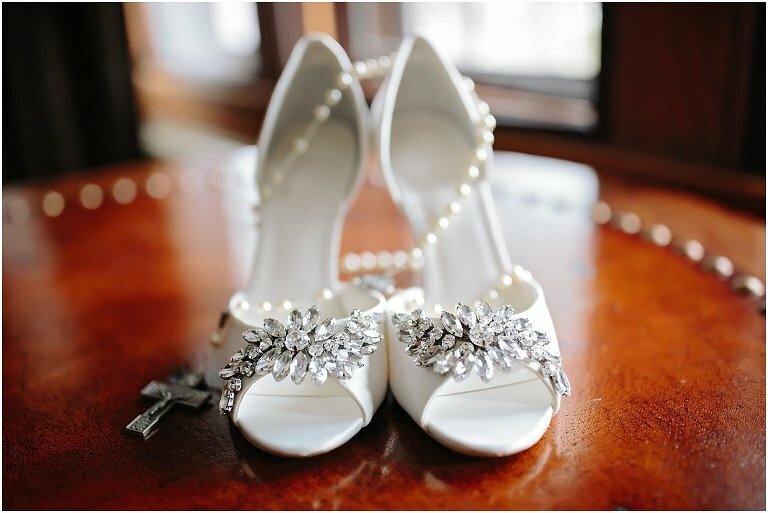 Ana and Dustin were married at St. Mary of the Hills Catholic Church in Rochester Hills. Their ceremony was filled with so much happiness and love! Before heading to the reception, we made a quick stop in Downtown Rochester where the city was decorated all around with beautiful Christmas lights! 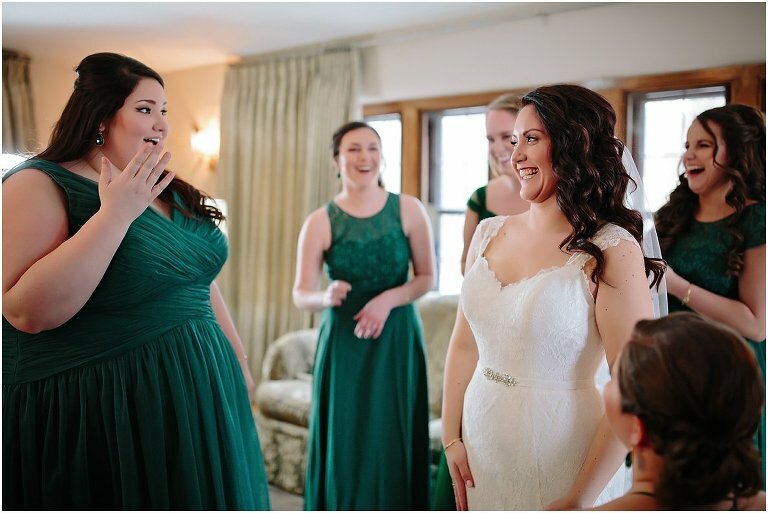 Ana’s sister Vanessa, accompanied by bridesmaid Sarah, surprised the bride and groom with a song/rap inspired by the broadway musical Hamilton. One of my favorite highlights of the entire day!!! One of my favorite first dances of all-time! These two sang their hearts out to one another the entire song. After the first dance, Dustin danced with his mother… also filled with singing. The BEST! But then it was time to DANCE!!! Best father/daughter dance EVER!! Then it was time for everyone else to join in!! The dance floor was PACKED!